Learn the skills necessary to deploy a Cisco Optical Networking System (ONS) 15454 Multiservice Transport Platform (MSTP) network from installation to protection. 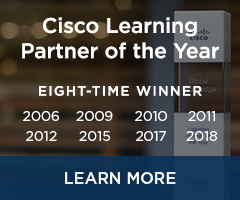 In this course, you will learn the skills necessary to deploy a Cisco Network Convergence System (NCS) 2000 Series network. You will also learn how to perform node turnup. The course covers three shelf types, the Cisco ONS 15454 M12 Multiservice Transport Platform (MSTP), NCS 2006, and NCS 2002. You will learn how to deploy linear and ring dense-wavelength-division-multiplexing (DWDM) topologies. 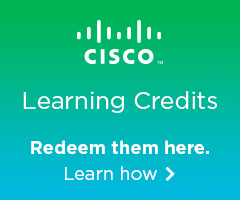 The course covers multiplexer-demultiplexer cards, Erbium-doped-fiber amplifier cards, Raman amplifiers, transponder cards, and the newest Cisco Any Rate muxponder cards and crossponder cards. These cards are used in terminal, amplifier, and reconfigurable optical add-drop multiplexer (ROADM) node configurations. You configure wavelength-selective switch (WSS) linear and single-module ROADM (SMR) rings. This Optical Technical Training Intermediate course covers 10-gigabit unprotected circuits and 10-gigabit protection using Y-cable, optical channel transport unit-2 (OTU-2), and protection switch module (PSM) cards.